The new history of the city of Almaty, based on ancient settlements of the Bronze Age, began on February 4, 1854. This story is related to the creation, in the foothills of Trans-Ili Alatau, between the two rivers, of the military fortress of the Russian Empire Vernoe. By the autumn of 1854, the fortification was completed. The first detachment of the Cossacks settlers arrived on July 1, 1855. The first Russian peasant settlers began to arrive in 1856; they laid the foundation of Big Almaty village, which was built next to the fortress. 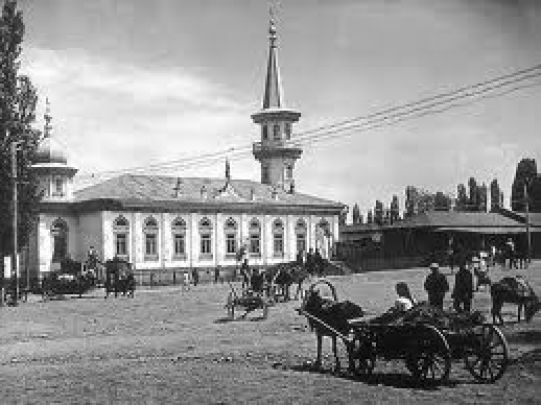 The immigrants continued to stay and soon the Small Almaty village and Tatar (Tashkent) settlement were formed in the neighborhood. The Tatar merchants and artisans settled in this village. In May 1859, the settlement already had five thousand inhabitants. The construction works were managed by the engineer L. Alexandrovskiy, the head of the construction was a military engineer C. Gumnitsky. On April 11, 1867, the Vernoe military fortification has been transformed into a city, with its renaming into the Almaty, but the name did not stuck and in the same year, on the report of the government "Steppe Commission ", the city was called Verniy.